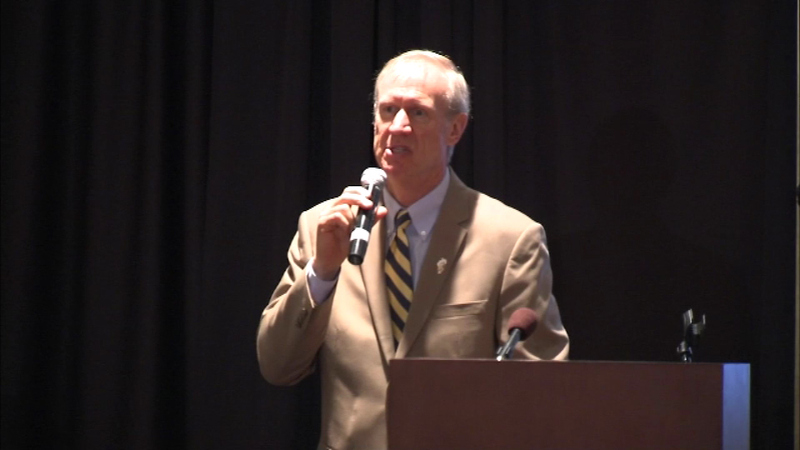 SPRINGFIELD, Ill. (WLS) -- A highly-anticipated meeting on the state budget between Gov. Bruce Rauner and House Speaker Michael Madigan has been postponed so Madigan can attend a family funeral. The meeting was supposed to take place on Wednesday, but was moved to Dec. 1 to accommodate Madigan's family obligation. The state has been locked in a budget stalemate since July as Rauner refuses to sign a spending plan that doesn't include his pro-business reforms.